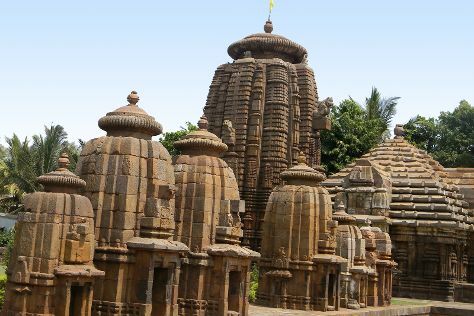 A major pilgrimage center for both Hindus and Buddhists, Bhubaneswar boasts a dazzling number of holy sites, temples, and shrines. Your day-by-day itinerary now includes MukteshwarTemple. Kick off your visit on the 9th (Sun): don't miss a visit to Lingaraja Temple and then contemplate in the serene atmosphere at MukteshwarTemple. To see more things to do, photos, ratings, and more tourist information, go to the Bhubaneswar day trip site . Mumbai to Bhubaneswar is an approximately 4.5-hour flight. You can also drive; or take a train. Expect slightly colder weather when traveling from Mumbai in December: highs in Bhubaneswar hover around 34°C, while lows dip to 18°C. On the 9th (Sun), wrap the sightseeing up by early afternoon so you can drive to Puri. Famous for its colossal sun temple, protected as a World Heritage Site, the small town of Konark sits just a short drive from the coast of Odisha. To find ratings, more things to do, reviews, and tourist information, use the Konark visit planner. You can drive from Bhubaneswar to Konark in 2 hours. December in Konark sees daily highs of 34°C and lows of 18°C at night. Finish your sightseeing early on the 10th (Mon) to allow enough time to travel to Puri. Your day-by-day itinerary now includes Chilika Lake. Start off your visit on the 10th (Mon): contemplate the waterfront views at Chilika Lake and then make a trip to Jagannath Temple. For where to stay, more things to do, and tourist information, read Puri online holiday planner . Getting from Konark to Puri by car takes about an hour. In December, plan for daily highs up to 34°C, and evening lows to 18°C. Wrap up your sightseeing by early afternoon on the 10th (Mon) to allow enough time to travel back home.